2018 is a year of big changes at our school—we have a new principal, several new staff members, teachers in new grades, and a renovated school building. Our PTO is also starting anew—and with only $500 to begin the school year, we have a lot of work ahead. We’re looking for fresh ideas to earn the money we need to meet our traditional obligations, including Merry-Go-Round Playhouse assemblies and field trips. And of course, we want to provide fun extras for the kids. 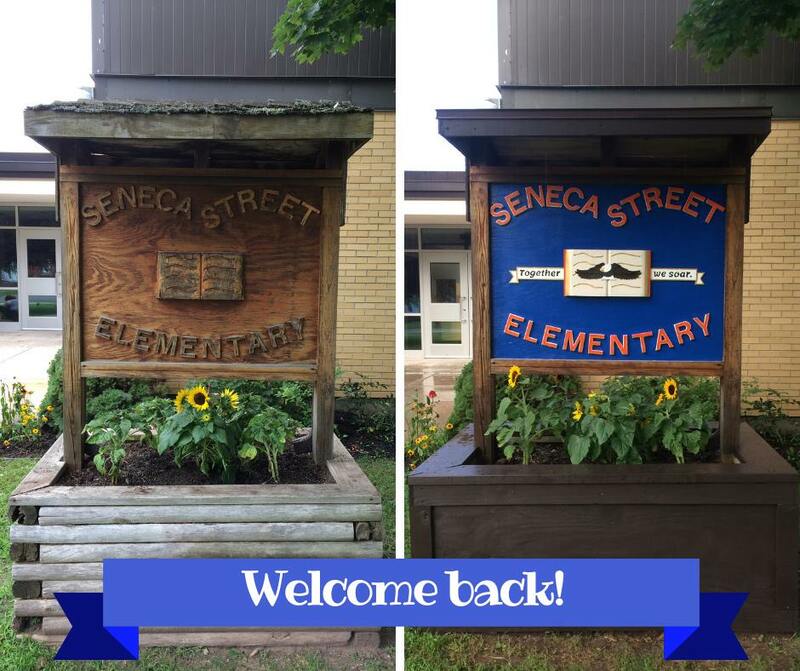 PTO volunteers have been hard at work over the summer completing several projects to benefit our school. The best part? Thanks to community generosity, we did it all for free! New flowers – Debrucques Greenhouses donated perennials to add to our school gardens. Rock Garden – we tidied up the pebbles and added new edging and a second path thanks to donations from Blocks and Rocks. We also placed the painted rocks from last year’s fundraiser! School Sign – The sign structure has been rebuilt to be stronger and more attractive than ever. We also added color and detail to the sign itself. Treats for Teachers – We provided breakfast items on the first day of school and dessert items on the second day. And that’s not all—there is more great news to share soon! Your ideas, your opinions, your talents, your unique abilities, your energy—everyone has something to offer. Our PTO cannot succeed without teamwork. Please contribute in any way you can to help our school year be a success. Help us set fresh priorities and make them happen. September 12th at 7:00 p.m. – Join us in the school library following Back-to-School Night. We will vote for new officers. Childcare provided.